The Museum & Visitor Center at Gettysburg National Military Park is the best place to start your visit to historic Gettysburg. Begin with the Film, Cyclorama & Museum Experience at the Gettysburg National Military Park Museum & Visitor Center and then move on to battlefield tours and the numerous historic sites around the town and battlefield. 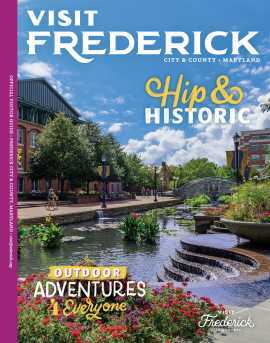 Explore the Gettysburg battlefield with Licensed Guides; view the breathtaking Cyclorama Painting of "Pickett's Charge"; discover the world-class museum with 12 exhibit galleries with artifacts, interactive displays and films; participate in free National Park Service Ranger programs. Whether you are just beginning to learn about Gettysburg and the American Civil War or you've been a student of history for many years, a trip to Gettysburg is for everyone. You will gain a better understanding of Gettysburg's history, and the importance of preserving, enhancing, honoring and protecting one of America's most significant places. Description Our venue can be tailored to provide a one-of-a-kind experience in historic Gettysburg. We have hosted a variety of events, including corporate dinners and receptions, conferences, meetings, private events, military ceremonies and staff rides, and reunions. Our professional event consultants will work with you to make your event historic. 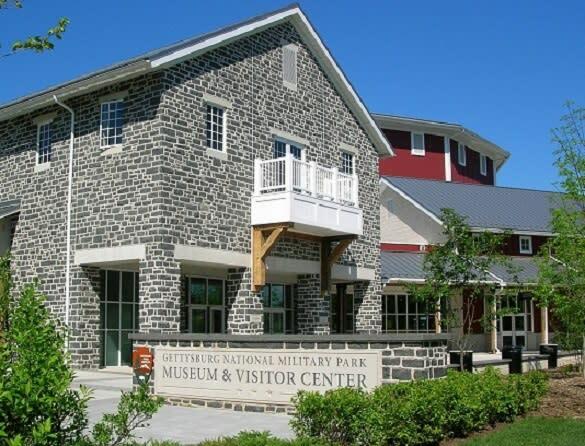 With the perfect blend of history, elegance and convenience, the Gettysburg National Military Park Museum & Visitor Center is the ideal location for your next event. From intimate meeting spaces to dramatic banquet halls, the Museum & Visitor Center offers state-of-the-art conveniences paired with rustic-refined architecture, inspired by the past. Special Amenities & Enhancements •Ample space for after-hours events •Meeting rooms for corporate meetings, conferences and events •In-house catering services for buffets, sit-down dinners and receptions •Plenty of free parking and motor coach access •Dedicated event staff ready to help make your event a moment in history for your guests •Public Wi-Fi Your guests will also have access to: •The film, "A New Birth of Freedom"—tells the epic story of the Battle of Gettysburg, while illuminating the causes and outcomes of the battle within the context of American history •The historic Gettysburg Cyclorama painting-in-the-round—longer than a football field, taller than a two-story building—depicts Pickett’s Charge, complete with light and sound effects, and puts you in the heart of the battle •The world-class Gettysburg Museum of the American Civil War—features some of the most unique artifacts from the Battle of Gettysburg Trust our events team to help you plan your historic event. For more information or to request a proposal, contact our events team at djoyner@gettysburgfoundation.org or 717-339-2108.